On Monday July 23, Bistro on Main in Manchester presents a 5-Course to honor the late Anthony Bourdain, a well-renowned chef, author, and travel expert in the food industry. Proceeds will to go benefit the Jordan Porco Foundation, an organization that works to prevent suicide in young adults. The night begins with a reception at 6pm followed by dinner. The Guilford Mooring has launched a Monday Lobster Bake, offering customers a 1 ¼ pound lobster, red potatoes, Littleneck clams, mussels, peel-and-eat shrimp, and an ear of corn – all enjoyed from the restaurant’s waterfront location. This special will run Mondays through Labor Day and is available from 4pm-close for $28.95. For more information, visit www.guilfordmooring.com, or call 203.458.2921. Bareburger now has an “Open Floor Night” on Mondays from 6-9pm. Musicians, poets, artists, and more can showcase their talents and receive 30% off their first night’s bill. Tuesday July 24 is National Tequila Day and what better way to spend it than at a restaurant with over two hundred different varieties of the spirit to choose from, like SolToro, located in Mohegan Sun! SolToro will also be offering the following specials for National Tequila Day, $3 off Partida Tequlia shots, $3 off Partida Tequila margaritas, and a special Partida Tequila tasting flight for $28 which will feature pours of the blanco, reposado and anejo. Join Millwright’s in Simsbury for their 6th Anniversary Dinner on Wednesday July 25. The special 8 course tasting menu costs $95 per person, plus and tax and tip. As an anniversary special, you can also get a $10 gift card for every $50 gift card purchased. On July 25, Victory Brewing and Bar Rosso are joining forces for a Kan Jam Tournament and Crowler Event starting at 5pm. Teams of 2 can play Kan Jam, try some Victory's beers, and take a 32 oz Crowler to go. The top 3 performers will get prizes. ARTISAN Restaurant, Tavern and Garden in West Hartford will reveal its private label of Rosé wine at an inaugural garden party on Thursday, July 26 from 5-7pm. Guests can enjoy Artisan Rosé wine, a craft cocktail, a 2-hour buffet, and a DJ for $25 per person. Millstone Farm’s Summer Soiree Dinners with Chef Geoff Lazlo continue of July 26. The evening begins with a cocktail hour at 6pm followed by dinner, both of which use fresh ingredients from the farm. The meal is family style and BYOB. Barcelona’s West Hartford location invites you to “A Seafood Dinner with Chef Tony” on Thursday July 26 from 6:30-9pm. The evening features a whole roasted swordfish collar, a raw bar, crispy tapas from the sea, and wine pairings. Tickets are $65. On July 26, The Bling Rhino in Norwalk will host a 6-course “Land and Sea Dinner” inspired by ingredients from both turf and surf. The current roster includes crawfish, striped bass, ostrich, kangaroo, and frog legs. Pairings of craft beer, wine and cocktails will be available as well. The Bruce Museum and Carla Marina Marchese of Red Bee Honey are teaming up for “The Language of Flavor in Honey: A Guided Sensory Honey Tasting Event” on Thursday July 26 from 7-8:30pm. Participants will learn about honeybees and their essential pollination services that bring us fresh fruits, vegetables, nuts, seeds, spices – even coffee, chocolate and blue jeans! There will even be opportunity to try honey-inspired recipes. Amoy's Cajun Creole & American Restaurant will have a “Random #dope dinner party” on Friday July 27. The evening features a 3 course dinner with wine pairings. Ever wondered how red wines get their color? Or why some wines made from red grapes are white? What does the term "terrior" mean anyway? Whether you're a casual wine drinker or a sommelier, you're sure to enjoy a tour of wines, lively conversation, and the opportunity to sample the work of wines artisans. On Saturday July 28, join Max Restaurant Group and Rosedale Farms & Vineyards for “Dinner and a Movie Under the Stars.” Chef Hunter Morton will be creating a farm fresh menu inspired by Cuban-American-Californian cuisine. Reception begins at 6:30PM, followed by a multi-course tasting menu paired with wine by Rosedale Farms & Vineyards. Complimentary popcorn, cash bar, and other theater treats will be available for sale after dark for the screening, which starts at approx.  9pm. The Taste of Summer Hartford Restaurant Week continues through July 29! Participating restaurants are offering special prix fixe menus for lunch and dinner. Amis Trattoria in Westport recently welcomed a new chef, Jonas Daniela. Also, they will now serve brunch every Saturday and Sunday from 10:30am until 3pm. New menu items include avocado toast, a vegetable frittata, “eggs in purgatory,” and baked French toast. There are also cocktails like the blood orange mimosa and blackberry and elderflower bellini. 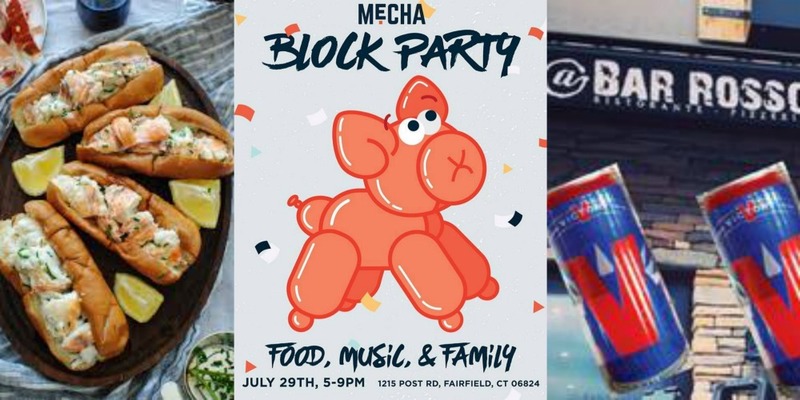 Mecha Noodle Bar in Fairfield is turning 5 and they are celebrating with a block party on Sunday July 29. The festivities will take place right outside in the parking lot. Match is hiring! They are currently searching for talented sous chefs and line cooks to join the team.